The lending bot for Bitfinex, Poloniex and Liquid! 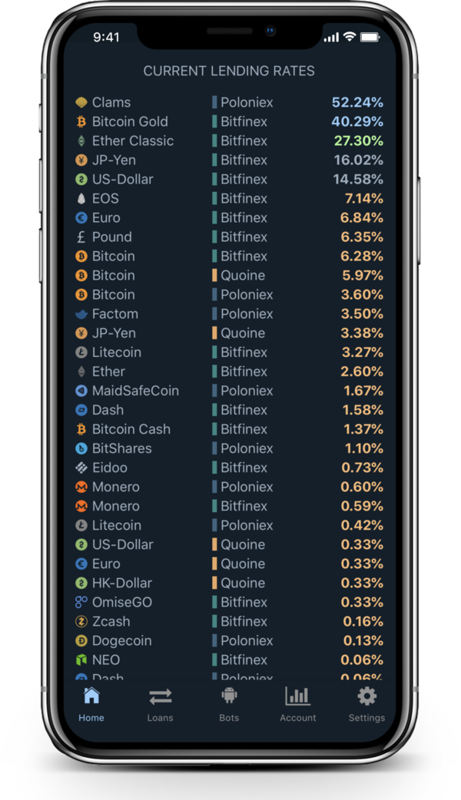 The new Coinlend app is now available for Android and iOS - free to download in the Google Play Store or the Apple App Store! Please make sure to check our FAQ before sending us a message.